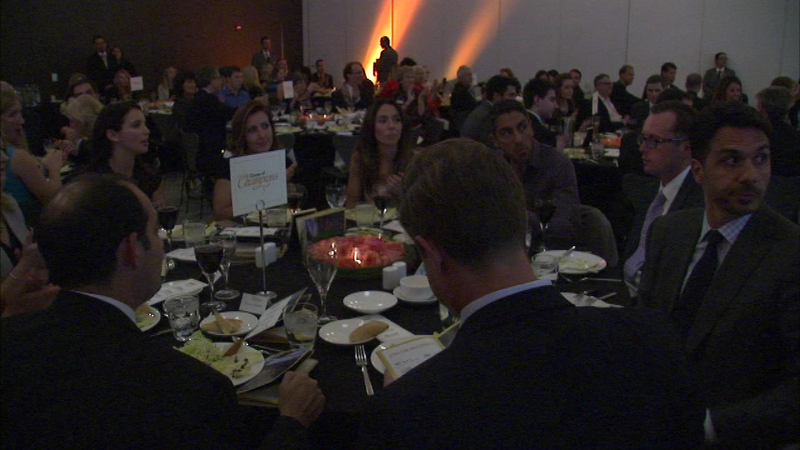 People used forks and knives to fight a debilitating illness at the National Multiple Sclerosis Society's annual "MS Dinner of Champions" Tuesday night. CHICAGO (WLS) -- People used forks and knives to fight a debilitating illness at the National Multiple Sclerosis Society's annual "MS Dinner of Champions" Tuesday night. ABC7's Kathy Brock was the emcee for the event that raises money to support research and provide help for people living with MS and their families.